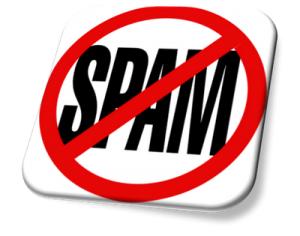 I’m really sick of spam. Not the man-up-Viagra-adult-friend-finder-banker-in-Nairobi-discount-luxury-watches kind of spam. I mean, I hate that, too but I have pretty much eliminated it from my life with a series of good spam filters, junk email rules, and just plain being cautious with my e-mail address. No, the spams I am talking about are the unwitting ones. The ones from the people who don’t think they are doing it. Or worse – just don’t care.